I certainly wouldn't have imagined one of the first recipes I would post in my blog would feature polenta. I would have guessed something involving frosting. Let's just be honest...it would be cupcakes. I have been baking (and eating) cupcakes for years. As a high school student, I hosted cupcake making parties. As a RA in college, I held meetings with, you guessed it, cupcakes. Oh yeah, I have one tattoo and it's of a cupcake! But, the cupcake recipe will come soon. 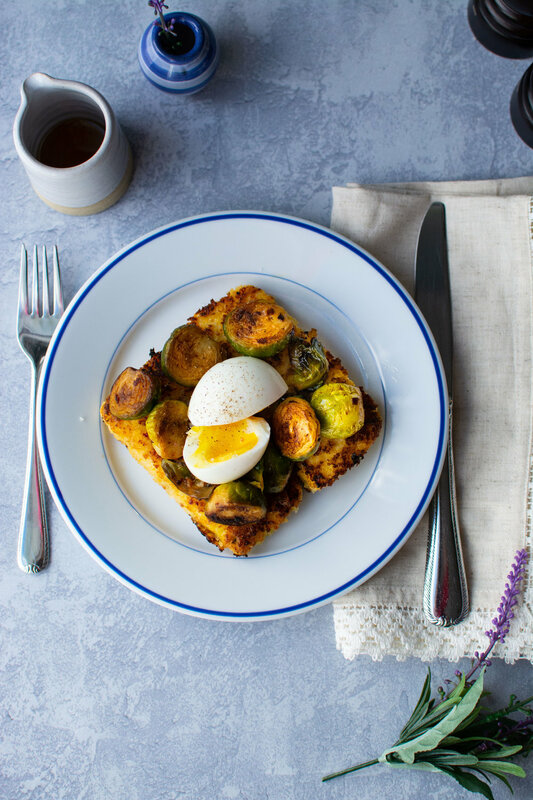 For now, I'm going to share one of my favorite savory dishes - pan fried polenta with brussels sprouts! Polenta and I have a rocky history. 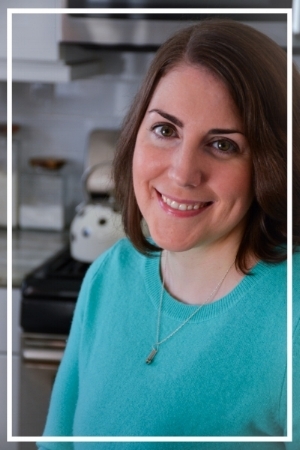 My husband and I learned to cook together by subscribing to a food delivery service. They provided the ingredients and a recipe and we cooked a delicious meal together. One of the first recipes we received involved a side of polenta. I enthusiastically followed the recipe and created a thick, tasteless paste. Oh man, it was awful. The next time we received a recipe involving polenta, my husband owned the polenta aspect of the recipe. Once again, awful. Fortunately, I became determined to create a polenta that was as delicious as I knew it could be. I tried a few recipes and techniques and I can finally say I am no longer afraid of cooking polenta. Polenta is really the star of this recipe. It is cooked, cooled, slathered in maple syrup, rolled in panko crumbs and finally pan fried until a crispy brown crust forms. The brussels sprouts are tossed with olive oil, chipotle, and adobo sauce to add a spicy, smokey flavor to the dish. Lastly, a poached egg sits atop. The runny egg yolk adds a rich, velvety sauce to the plate. And I didn't even mention the creamy goat cheese mixed into the polenta. Yum. Working one at a time, first coat the front and back of the polenta with flour. Using a silicone pastry brush, slather the floured sides with maple syrup. When mixed with the flour, the maple syrup will become a thick paste. That is OK, just make sure the sides are evenly coated. Lastly, press each side into the panko crumbs. Leave the completed polenta cakes on a large cutting board or cookie sheet until ready to cook.